ORSR - Footy facility ‘fantastic’! Office for Recreation, Sport and Racing > ORS news > Footy facility ‘fantastic’! Millicent’s mighty Aussie Rules teams are heading into the 2018 season better prepared than ever. 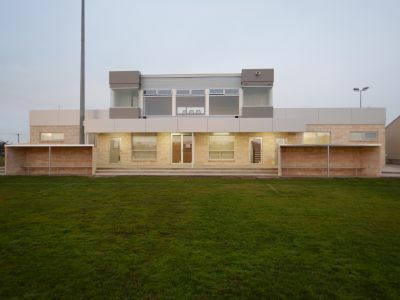 The ‘secret’: the south-east Saints’ new $805,000 mini-sports complex at the McLaughlin Park Sports Ground. On the ground floor the complex includes dedicated toilet facilities for men, women and people with disabilities; home and visitors’ changerooms (each featuring four partitioned showers); and a fitness gym. 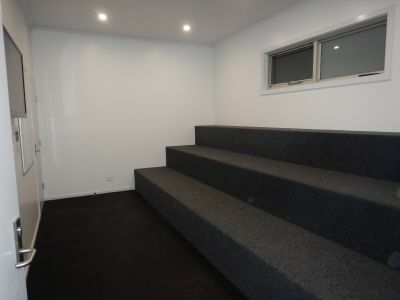 Upstairs on the second level there’s also a corporate events function room. It’s envisaged the complex will be used by the tennis, netball, cricket, soccer and basketball teams which play at McLaughlin Park. The main beneficiaries, however, will be the men’s and women’s footy teams. 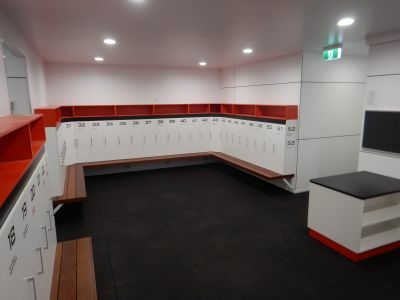 The Chair of McLaughlin Park, Craig Tunkin, says the new facility offers greater privacy for players, and more choice when it comes to training: the gym means players now have somewhere dry to train when it’s cold and wet, plus they can mix up their training drills more. The complex received $400,000 from the Office for Recreation and Sport, under the 2016-17 round of the Community Recreation and Sport Facilities Program. 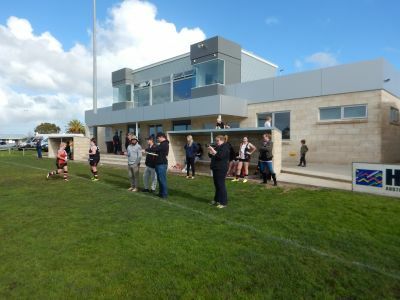 The facility is expected to help increase player numbers, and create more sponsorship opportunities for teams - not least by setting up McLaughlin Park as a drawcard for corporate functions. The first test of its drawing power will come later in the year when Millicent hosts the 2018 Limestone Coast Women’s Football League Grand Final. The first test of its impact on the Saints’ on-field performance will hopefully come the same day. Last year – their inaugural year in the comp – the women were runners-up: the big question is, could that improved pre-season help them go one better this year???!! !